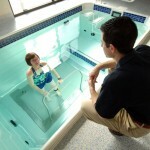 Differentiate your clinic and increase referrals by offering state-of-the-art recovery and outcomes with HydroWorx. View our line of products, used for a variety of therapies, including recovery and rehabilitation. 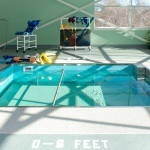 A standard feature in every pool, our 3’x5′ underwater treadmill is the perfect size to simulate appropriate walking mechanics and exercise with less pain sooner than land therapy. The variable speed treadmill allows patients to progress at their own pace, with speeds ranging from .2 to 7.5 mph. Various exercises against the resistance therapy jets allow patients to increase strength and range of motion in their joints and muscles. Our complete massage system allows patients to adjust the flow to trigger a deep penetrating massage on arthritic joints or a light massage to ease aching and sore muscles. 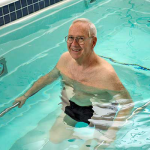 Adjustable floor technology, found in the 2000 and 1200 Series, allows patients or athletes to instantly and safely enter the water with no ladders or steps, eliminating any accessibility concerns. For proof of these results and incredible patient satisfaction, watch over 100 video case studies created by clinicians like you in our video library. Now More Affordable than Ever! If you felt that offering HydroWorx water therapy to your facility was too expensive in the past, we’d encourage you to look again. While maintaining the high level of quality you have come to expect from HydroWorx our products are now more affordable for a clinic owner. We even have great leasing programs! For a low monthly payment, profitability and increased patient outcomes of integrating HydroWorx to your clinic or hospital are easier than ever. Finding ways to set your clinic apart from competitors is a key function to your facility’s success. 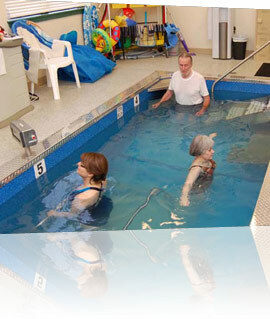 Offering aquatic therapy to your patients could be the solution you are looking for. Not only has it been proven to enhance rehab outcomes, but can also be a very profitable addition to your clinic’s toolkit. Request a free toolkit today! We are committed to your success. We offer a Free Business Plan outlining everything a clinic owner needs to know to offer a profitable HydroWorx Aquatic Program. We believe in research and evidence based practices. 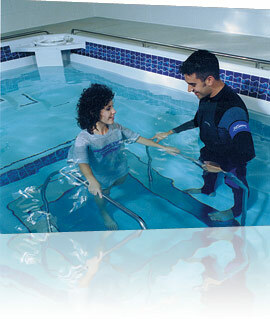 That’s why we have more research than any other aquatic therapy manufacturer. Our video library also boasts over 100 clinical case studies made by clinicians and used by PTs like you. Our products are designed by clinicians with rehab in mind. 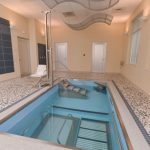 With standard features like an underwater treadmill, resistance jets, hydromassage, built in stairs, support bars and therapy platform, our pools are designed to offer maximum ROI in a small footprint. Install above ground or in ground. We have options that require minimal construction and can easily be moved if you are leasing space.